Ho Hum or Way More Fun? In my time as a school librarian, I have had the unfortunate experience of teaching the traditional countries research project. Why? Because it was in the curriculum and I was working with a new teacher BGID (before guided inquiry design). And you know what? I hated it about as much as the kids did. The final product was the regurgitation of information which does not elicit smiles or excitement, but rather the slumped shoulder comments of, “are we doing this again”? I share this because we have all probably been there with a project. The type of assignment that we dread as much as the kids. And, as much as we try to revamp it, it is tough to totally drop the curricular requirements without being worried or feeling some sense of guilt for not “doing what we are supposed to do”. Which brings me to the element of engagement! The sweet spot of excitement and learning. 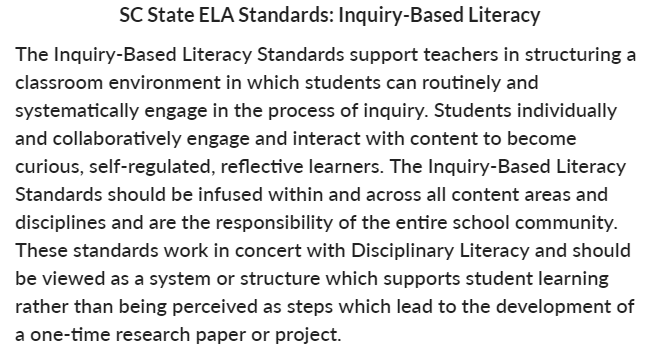 This instructional element is part of what makes Guided Inquiry Design so valuable for teachers and students. 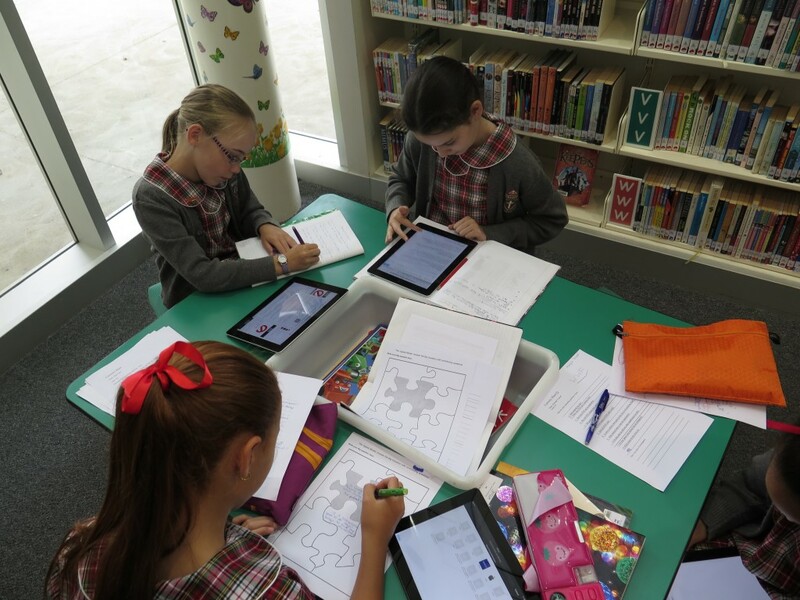 There are collaboration strategies and inquiry groups and reflection components which are integrated into the process and get our kids excited to be researching just about any topic. Even more important is the entire EXPLORE step. 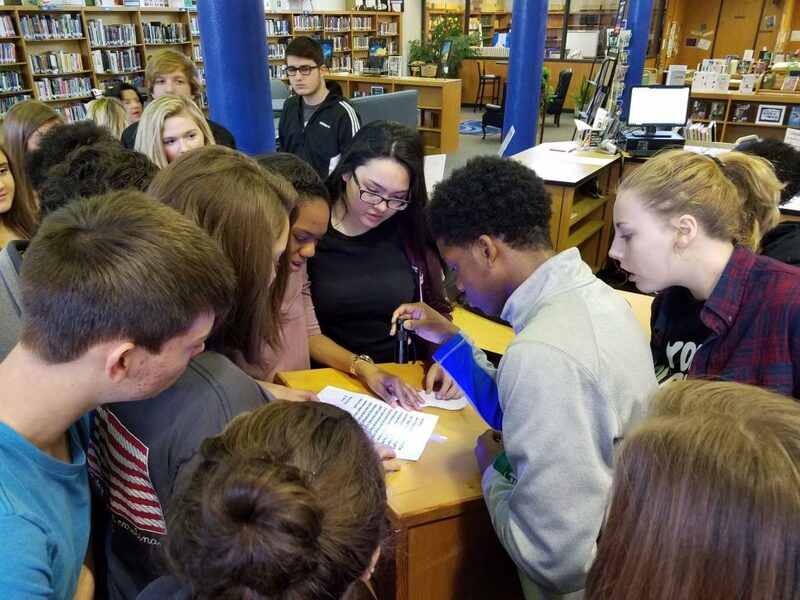 Providing students the opportunity to see what may exist in the realm of opportunity, engages and motivates students in a way that no list of topics can even touch. However, this valuable step is often the one that gets cut for time, because not all teachers see the value, when in reality it is, in my humble opinion, the most important part of the process. That is because it most closely mirrors the type of research which is being done in real life. One of the ways I have worked with teachers to shift their thinking about the basic curricular report requirement is through the reimagining of the country project. 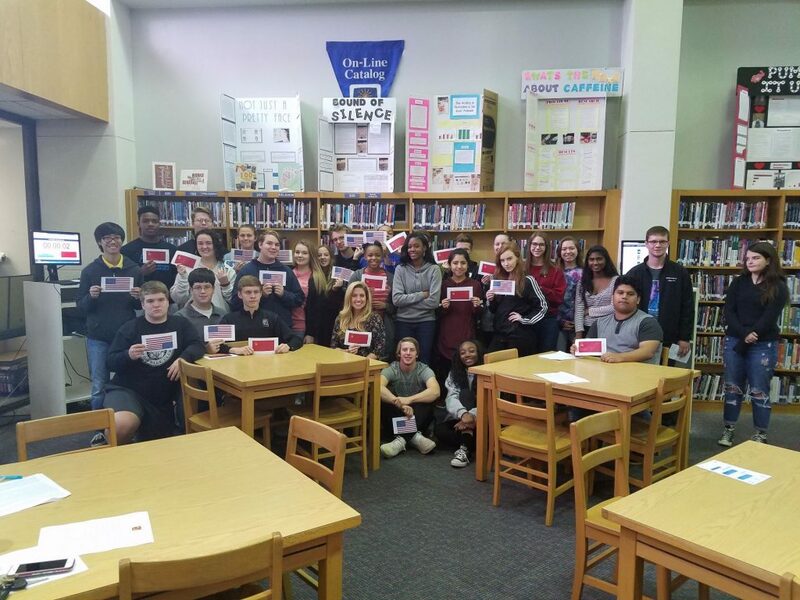 Students traditionally would share mind numbing presentations about a country, listing facts about population, climate, language, religion, food, etc. Listening to over 100 of them was the motivation to change. This is where GID was a lifesaver! The classroom teacher and I decided a change was needed, but how to make this relevant was the challenge. In the end, after several ideas bouncing around via email, we decided to go with a concept which aligned with what students were also studying in science, natural disasters. 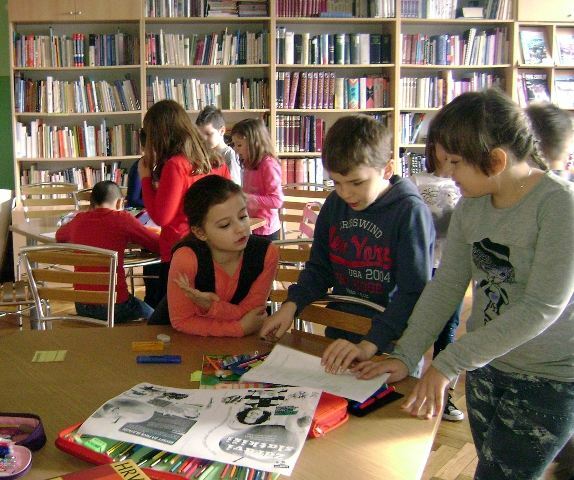 Students were now tasked with creating a recovery plan for a country which had experienced a hypothetical natural disaster. They were given the United Nations Development Program as a real life model and had to EXPLORE which countries were likely to experience certain disasters. Then they presented in teams at our mini-UN meeting to apply for funding to help this nation in need. The were rewarded (graded) in dollar amounts! In their planning and research, they had to learn about the culture, which was the original goal of the country report to begin with. 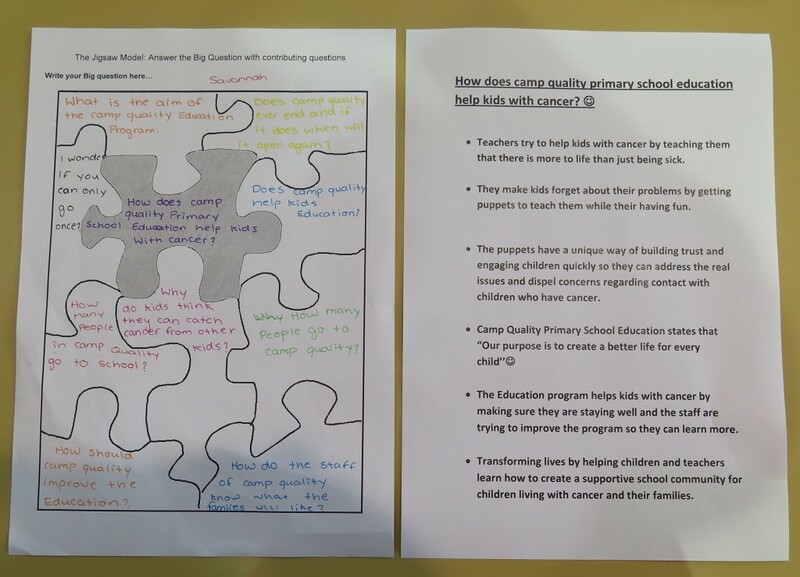 But now, it was being done in a way with a real life connection, choice and collaboration which lead to students who were engaged and motivated to brainstorm solutions as a team. 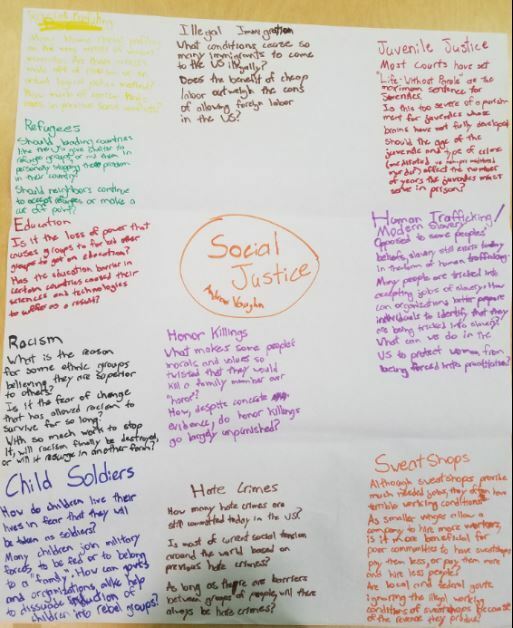 The 6th grade social studies teachers and I have been working on this updated project for the last four years and it has made everyone happier and more willing to engage in what had been quite boring research previously. In changing our project not only is it more engaging, but it has also guided students to think more critically and to understand why knowing about a culture could be important in a real world context. 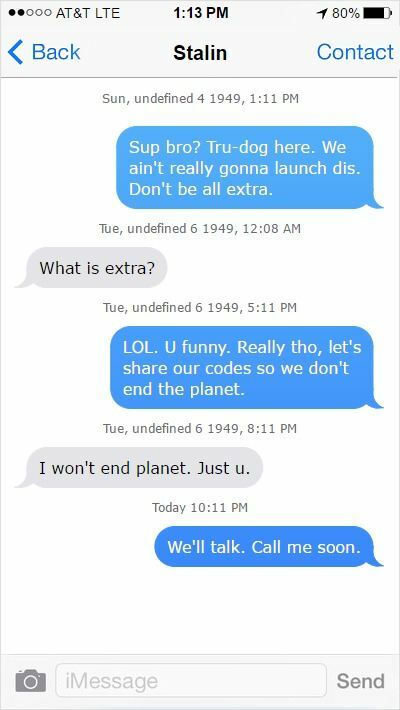 We provided the opportunity to work in groups, not because it is fun, but because the timeline and requirements make it almost impossible to do alone. Engagement was just an added bonus of following the GID process to get our students to fully engage in a research process which extended their thinking beyond what was required in the curriculum. 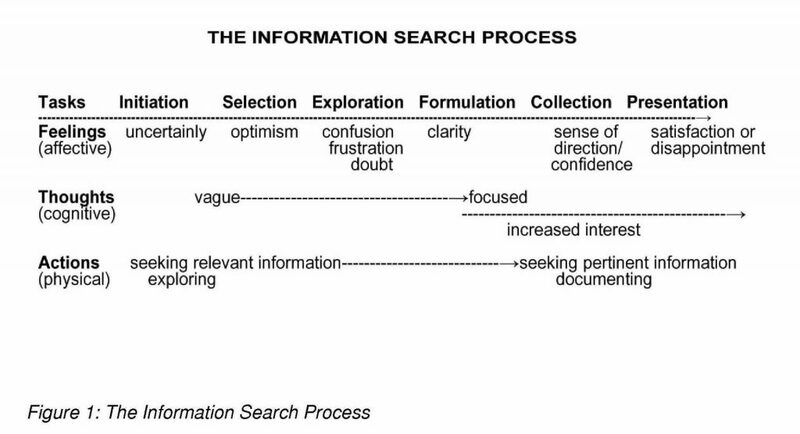 What are you doing in your instruction to engage students in research using the GID process? In January 2017, our second grade team approached me about planning and implementing a research unit about presidents and first ladies. 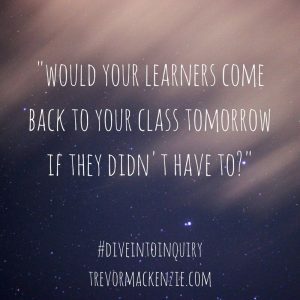 This allowed me an opportunity to teach both the students and teachers about the guided inquiry process. We broke the process into small digestable bites for the students and deliberately modeled the skills needed to gain deep knowledge and understanding. 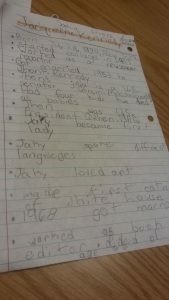 As a class, we read about Harry Truman and conducted a “Stop and Jot”. Over the following week, students immersed themselves in all things presidential. They used the “Stop and Jot” method to explore and immerse themselves in past Presidents, First Ladies or a mixture of the two. The students made amazing notes and had wonderful Inquiry Circle discussions. Their notes were very thorough and their connections with the subject matter and their classmates knowledge was much deeper and broader than what I have seen in the past. 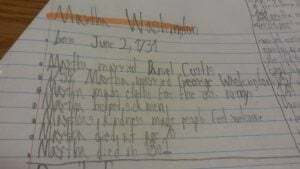 I have included some samples of their notes below. Tomorrow I will post some pictures of the Presidential collages and poems the children wrote for the Create and Share phases. When I was first asked to help a Year 5 teacher, Catherine Havenaar, with an integrated Year 5 unit on ‘Global Connections’, I was initially a little cautious about how we would achieve the integrated English and Humanities outcomes. 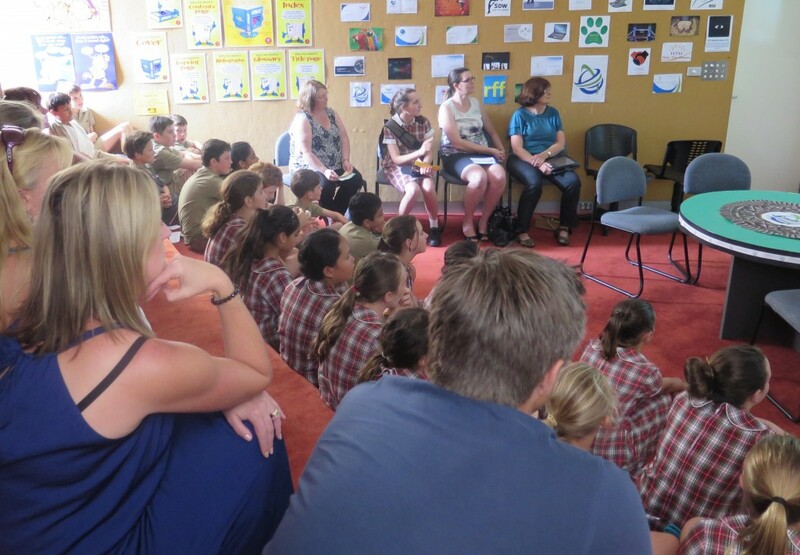 She was in her first year of teaching – after being a Paramedic for many years – but had been inspired to try Guided Inquiry after a seminar I gave to the whole Primary staff at the beginning of the year. 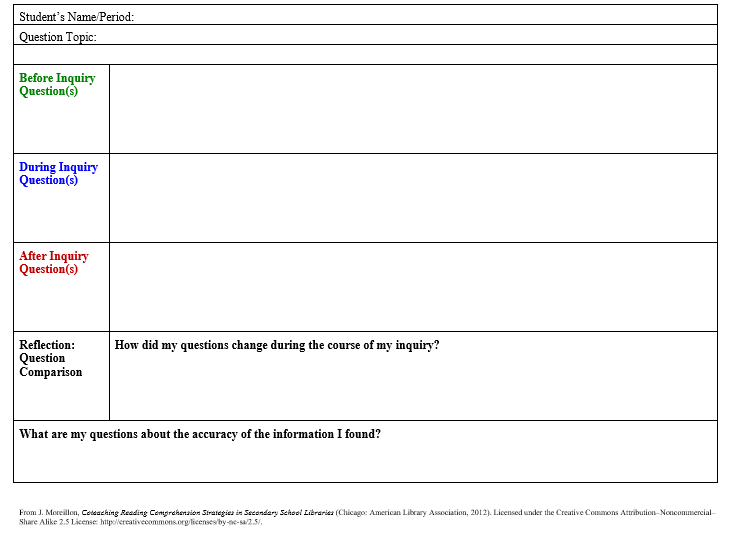 The first step of any unit of Guided Inquiry, of course, is to plan with the teaching team. By the end of the first session I knew we were on a winner. Right from the start Catherine and I bounced off each other with ideas and this continued throughout the unit until it actually became an exhaustingly huge project. However, because the students all joined in the ‘fun’ of learning together it was an experience never to be forgotten. The fact that the G20 Summit was taking place in Brisbane at the time was such a bonus. Having world leaders right here in Australia and on the news, made ‘global connectedness’ so relevant to the students. 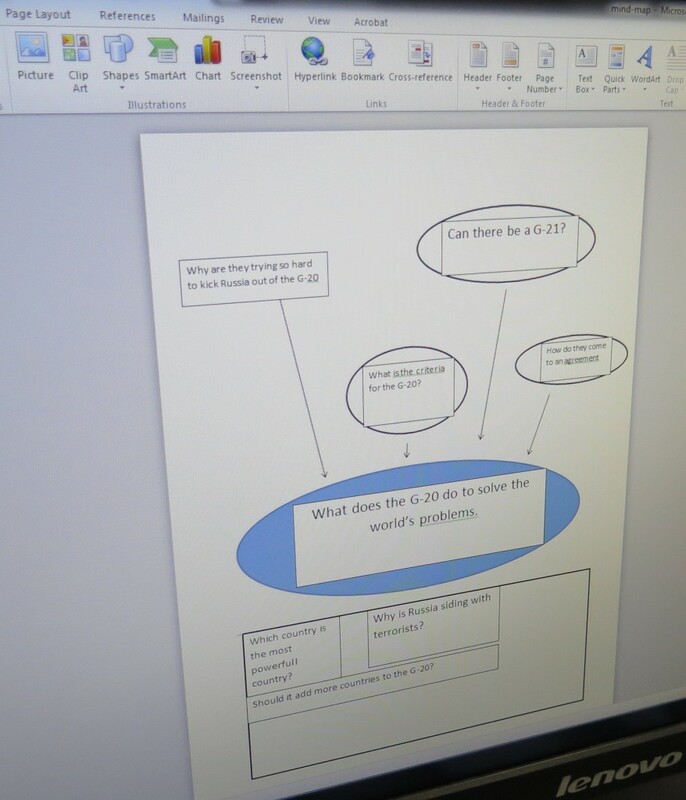 I love this research plan a student was working on later – Can there be a G21? What impact does Australia have on the world stage through our global connections? In what different arenas does Australia contribute to the world? What are our responsibilities in making sure all people are treated with respect and provided with basic human needs? OPEN: As with all GID units we began with checking prior knowledge and global organisations that the students recognised. Activity 1: Complete ‘pre-test’ to determine knowledge levels about Australia’s connection to other countries – Provide students with a question and answer sheet that they will complete as they move around 10 stations. Each station has a visual prompt relating to a different idea of global connection. Students have four minutes at each station and identify the prompt they know least about. 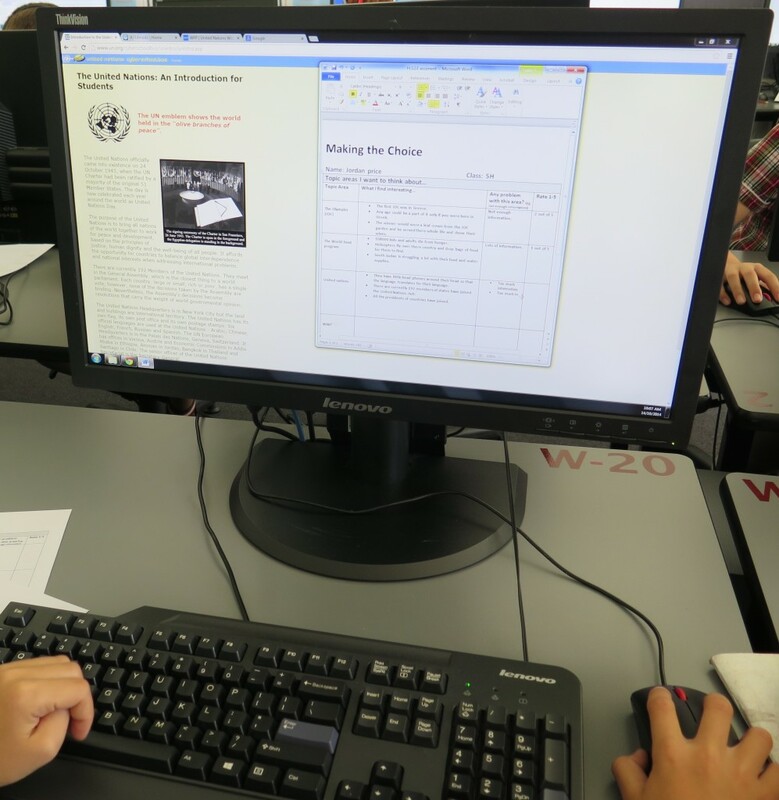 IMMERSE: Students discussed Article 25 of The Universal Declaration of Human Rights and recapped the importance of Australia’s role in providing aid and humanitarian support. Students then selected an organisation and drew its logo with a description of its elements and meaning. 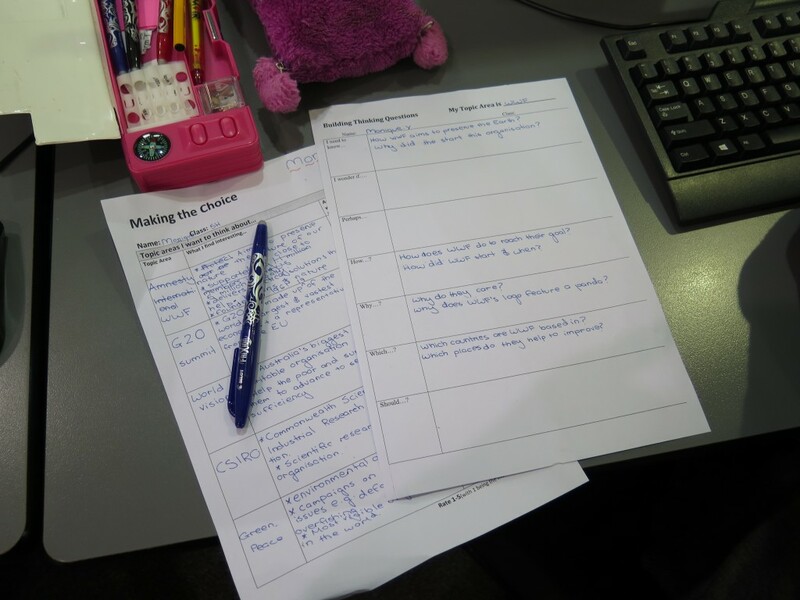 Using a scaffold “Making the Choice” to gather information on a number of organisations they read widely and took notes, discussing findings at specific points with the teacher and each other. One student with dyslexia was catered for when Catherine decided to bring in her own Mac computer to give the student during lessons so that she could use the ‘Text to speech’ function. This student managed better than ever before, could listen to sites about organisations – and was so happy! 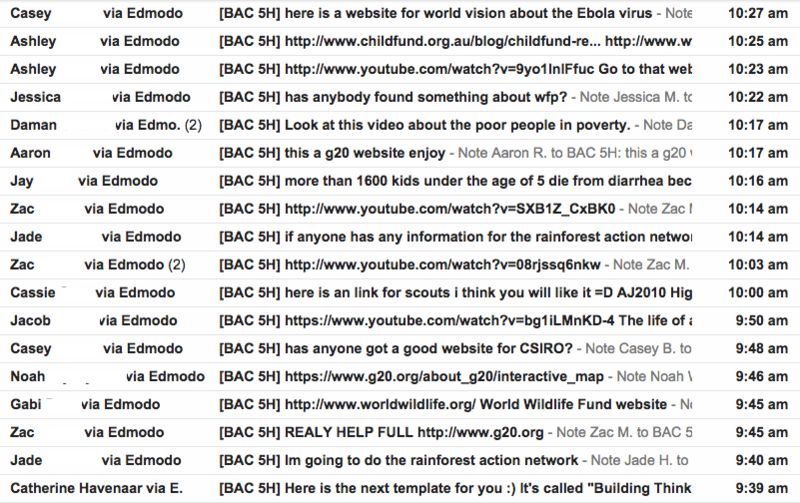 Links to all the organisations selected were put onto a Diigo sites and used from the class Edmodo learning platform. Students also enjoyed sharing sites they found. 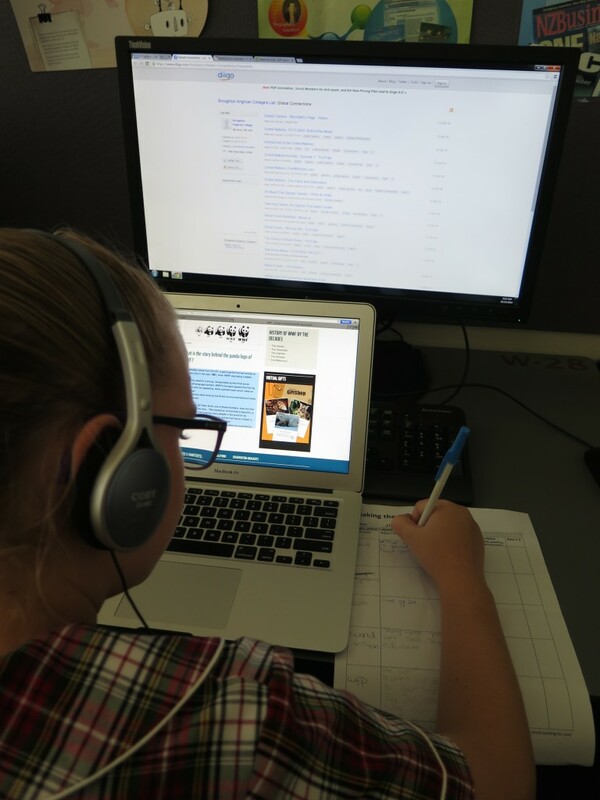 EXPLORE: Students determined an organisation to research and read widely from Diigo links, books and subscriptions such as online encyclopaedias and Skwirk. Scaffolds were provided for recording information and the questions they raised about that organisation. 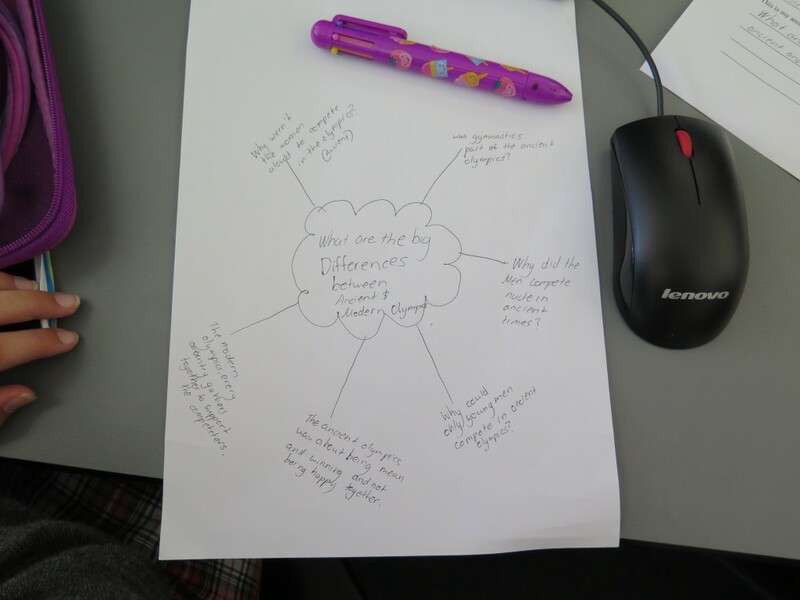 IDENTIFY: Students wrote a research question (with help from the teaching team) to focus their exploration and four contributing questions which were placed into a jigsaw scaffold and/or a mind map. 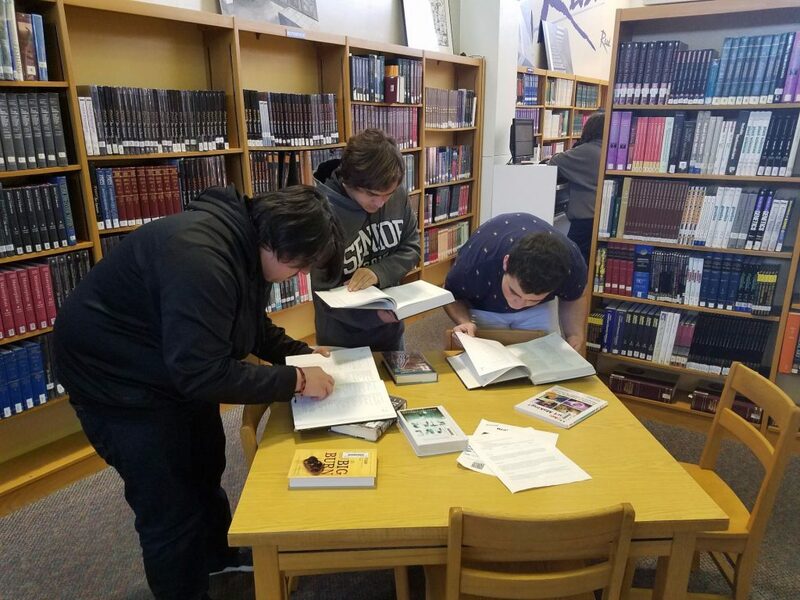 GATHER: Answers were gathered in their books and throughout students were assisted with aspects of information literacy by the teacher librarian – everything from determining best sources of information to writing a Bibliography. CREATE: Now for the real fun! This is a prime example of students working in the ‘Third Space’ and where they all just blossomed. Catherine and I had a discussion about how she could be involved in a fun way to model their tasks. It was decided that she should create the overarching organisation with which the students all had to register their created organisations! After a lot of thought and laughter we came up with OREO: Office of the Registry of Earth’s Organisations. A logo was created and Catherine made her own infomercial as an example for the students. In groups of five the student’s infomercials were played. 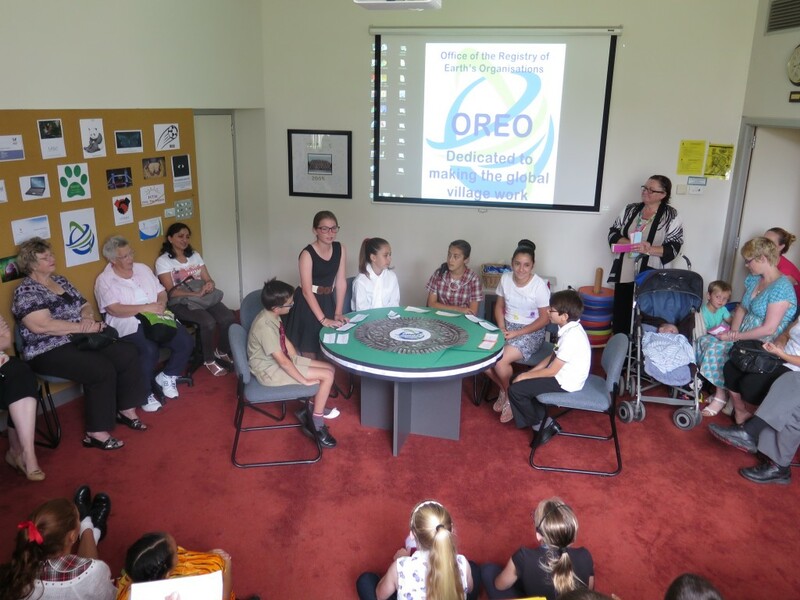 Each group then entered to sit around the OREO table dressed for their role in their organisation. Parents had been given prepared questions to ask and the students, in a very professional manner, stood and answered for their organisation. Morning tea was served to all and of course there was a distinct Oreo theme! 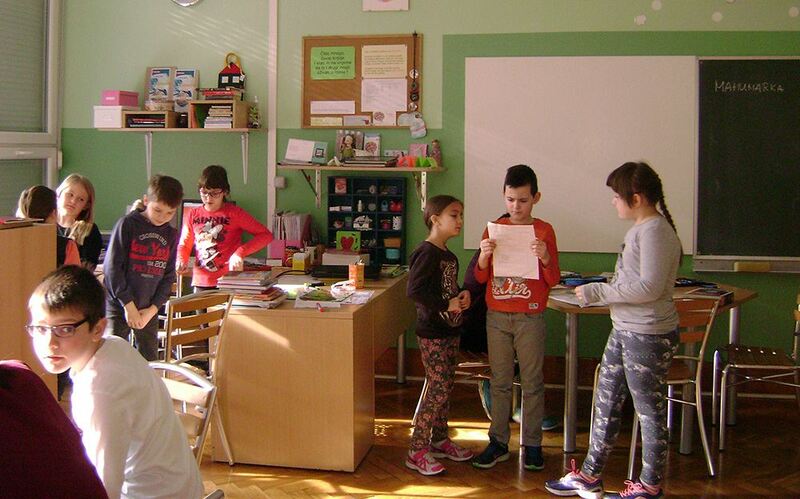 But a unit of work does not end with Share!… We conducted evaluations of students and the teaching team but also were surprised to receive a number of feedback comments from parents. Stay tuned for the Evaluation blog and some links tomorrow. Finally I will reflect on a few more GID experiences towards the end of the week. 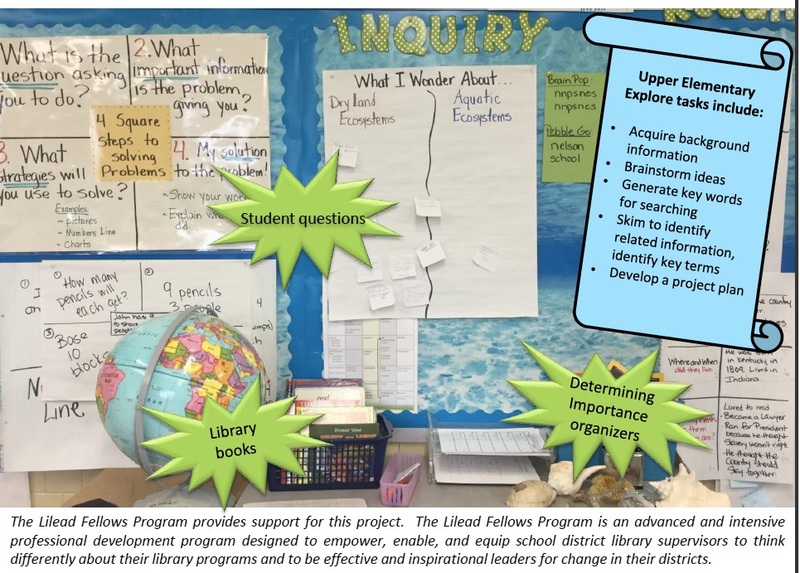 This week I am sharing our district newsletters about inquiry learning. 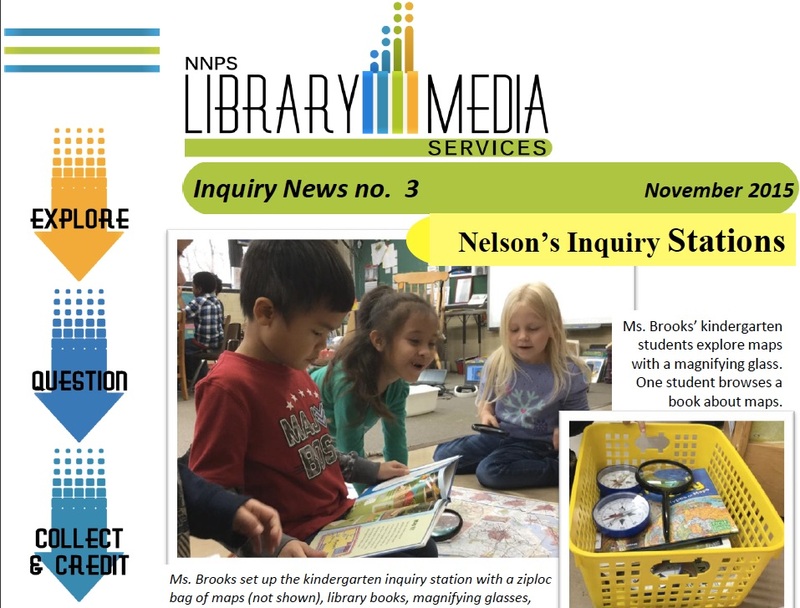 In Newport News, we combine Guided Inquiry’s “Open, Immerse, Explore” stages into one stage, “Explore.” This issue focuses on the Explore stage of the Inquiry Process, and shows how teachers have set up Inquiry Stations in their classrooms, supported by their librarian and reading specialist. I hope you have enjoyed seeing some our work in NNPS.